The book’s practical approach allows the reader to consider common challenges faced by coaches, suggesting solutions to performance concerns and preparing students for the realities of professional sports coaching. A companion website containing presentation slides and useful weblinks makes the book a complete resource for students and lecturers alike. 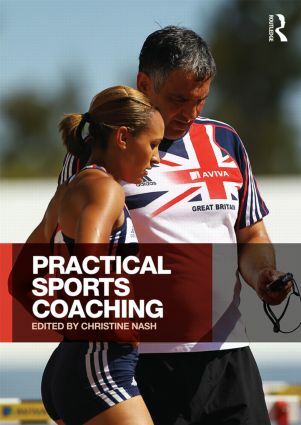 Practical Sports Coaching helps to bridge the gap between theory and practical coaching skills, and is an essential text for coaching students looking to deepen their understanding of sports coaching and experienced coaches developing their own practical skills. Christine Nash is currently Deputy Head of the Institute for Sport, Physical Education and Health Sciences at the University of Edinburgh in Scotland, UK, and also Programme Director for the new online MSc in Sport Coaching and Performance. She was a national swimming coach in the UK and has coached in the USA. She is currently involved in supporting coach education with a variety of sports. She is a member of the Coaching Standards Group, the committee that endorses coach education courses in the UK. She also sits on the research committee of the International Council for Coaching Excellence.